Freelancing can be a bit overwhelming, scary and risky especially for those who are just starting out. For those in the corporate world, the transition process may seem a gamble. 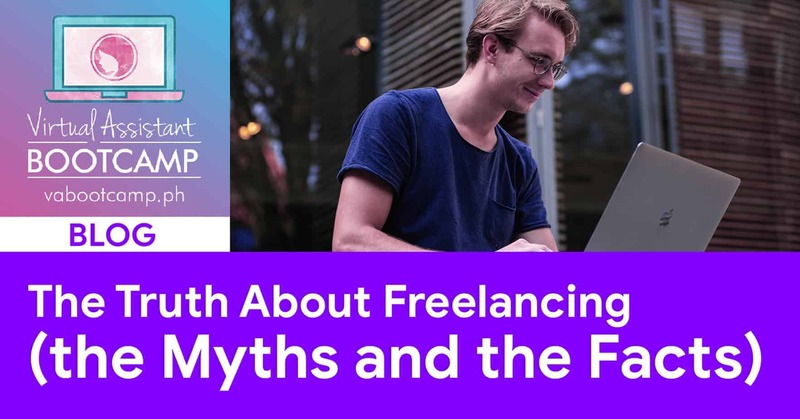 But nothing is overwhelming and scary if we know how to identify the difference between the myths and the facts about freelancing. It’s true. Freelancing is not an easy game. You need to learn the skills, how to apply online, how to charge clients and more. The good news is, although it isn't easy, if you work hard and smart, you can win the game! Yes, freelancing is not just rainbows and butterflies that's why it pays to get your ducks in a row before you even start. In this article, my goal is to help you start off on the right foot so you’ll be able to enter the freelancing world with ease and undistracted. First, allow me to tell my backstory. Months ago, I had no idea about freelancing. Being an OFW, I always dream of going back home to the Philippines and enjoying the presence of my family while still earning a good income. 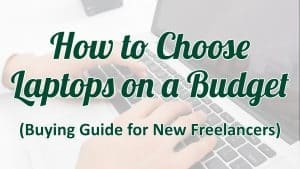 I searched for ways every single day until one day I stumbled upon freelancing and the VA Bootcamp. 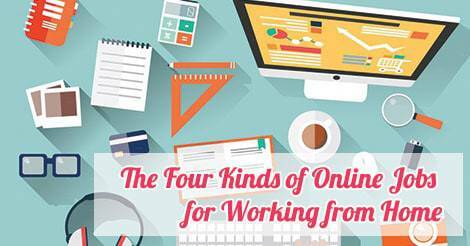 That’s when I learned about the online freelancing world! I was so ecstatic to know that it's possible to earn the same (or more than the) amount of income I’m earning abroad from home! I fell in love with the idea of working from home while earning dollars! So the next thing I know, I found myself devouring on the free courses on how to become a freelancer. I imagined how wonderful life would be. 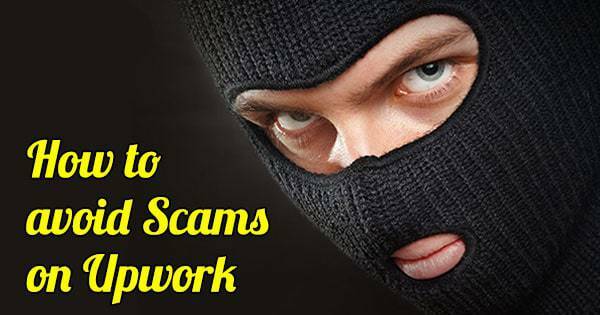 I’ll earn a high income using my laptop, at my preferred time, in the comfort of my own home. “WOW! This must be the answer to my prayers!”, I told myself. As I go through on reading, researching and studying, I realized that pursuing this career wasn’t that easy! I learned that if you want to survive and thrive in the freelancing world, you must learn how to identify which of your beliefs are just myths and which ones are facts. It’s always good to know the truth from the start so you don’t get stuck and you’d know the first action step you need to take. Because knowing the truth will not only save you time but also save your mental and physical energy! Because with the proper mindset, your journey will be less shaky and you'll be able to reach success faster. Fact: Freelancing can really help you earn a high income. But, it is definitely NOT easy money. If you study the stories of successful freelancers, you'll see how much they worked hard for it. They invested in continuous learning until they reached that level of success. Fact: Freelancing is a business – YOUR business. Yes, it's true. You'll get your time back when you're no longer in the corporate world. But if you don't discipline yourself to do the things you need to do when you need to do them, your freelancing career won't get far. Fact: While it's true that you can travel the world while freelancing, it won't happen overnight. It might take some time before you get a stable income. Once you get the hang of closing clients and you have enough funds, then you can travel to all the places you want to visit. The Coaches Got My Back All The Time. Fact: Coaches and mentors are there to guide you not to spoon feed you. Mentors can be there to push you through during tough times and sometimes there to spank you (virtually) and to give you tough love when needed. But keep in mind that they don't have all the answers. Mentors are also humans and they have their own lives. You don’t know what your mentors are going through while pushing you to be at your best. 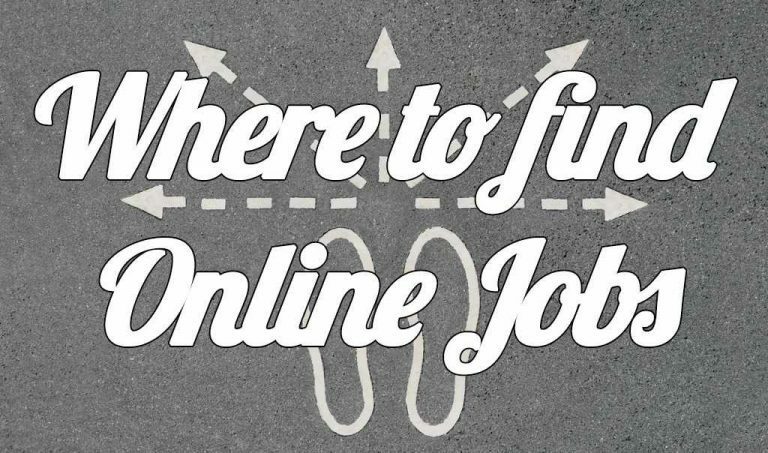 Yes, they may help you find a job by teaching you the strategies, the skills and the techniques in order to become a successful freelancer. But you still have to do the work. No one can take the action steps for you other than yourself. Fact: Freelancing is for people with an attitude of determination and perseverance. And it does not require a Masters degree, or college diploma. As long as you have that willingness to learn and you have the enthusiasm to achieve success in life, then freelancing is for you. 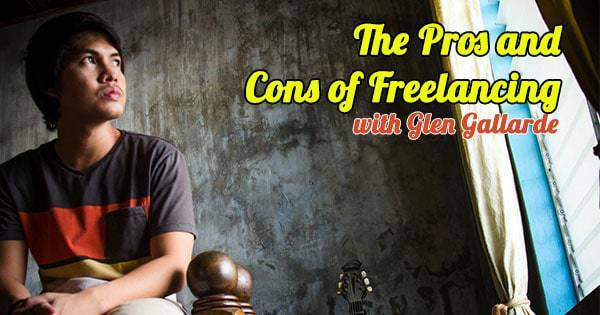 So, there we go – the most common myths and facts in freelancing. These are the realities you need to know to prepare you so you can start strong in your journey to working from home. Tell me, which of these myths do you believe in? Freelancing is a real deal. I will not sugarcoat it. It might take blood, sweat and tears when you're just starting your journey. If you find yourself believing in some of the myths I've mentioned, you better bust those myths now. Remember, success does not happen overnight. Start from where you are and with what you have then work your way up. Never stop learning and executing. It may take months or years to become a really successful freelancer, but at least you're with your family while waiting for it to bear great fruits. 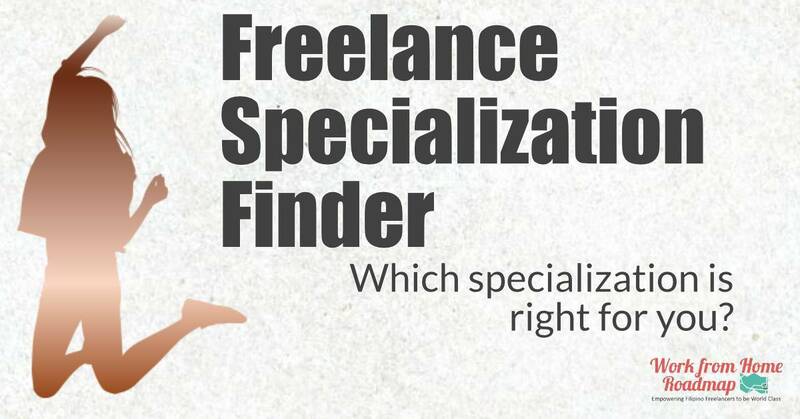 Start your freelancing journey today. Sign up now to this free course on how to become an online freelancer. 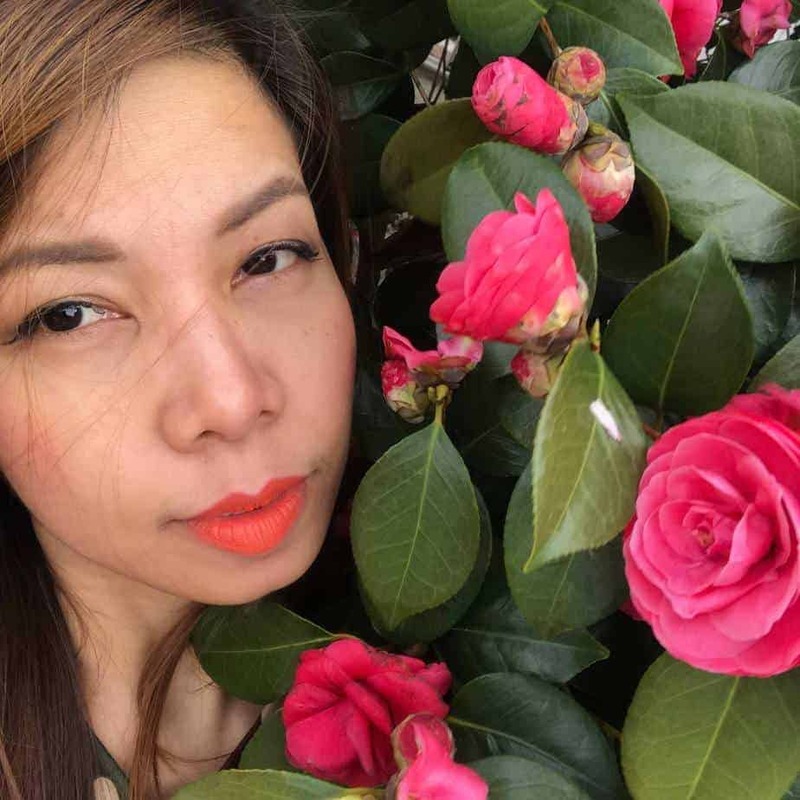 Narra Malong is an OFW in South Korea and one of the moderators of the Freelancers in the Philippines Facebook group. During her free time, she loves singing and making dresses.